In order to thrive smoothly in the era of digital transformation, the collection and utilization of data are crucial for every enterprise across the world. Prominent leaders have always relied on data and information to make effective decisions for their organizations. These decisions heavily rely on effectively presenting and adequately analyzing data and information to help organizations achieve desired goals and objectives. Additionally, big data has played a significant role in almost every industry whether it is healthcare, advertising, marketing, retail, telecommunications or insurance. Big data is the high-quality information and the combination of various processes and tools for managing and utilizing large data sets. 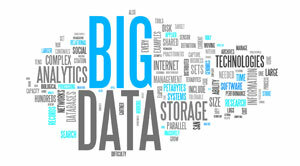 However, there is a misconception that big data are only for behemoth enterprises. But, it’s not true at all. It can create a humungous amount of opportunities for enterprises irrespective of their sizes regarding generating new opportunities, revenue generation, performing risk analysis and so on. Moreover, for maintaining positive customer relationship, big data provides best ways to collect and use feedbacks. Also, it provides predictive analytics to analyze and scan newspaper reports and social media feeds. For small enterprises, this analysis regarding latest trends and developments acts as a boon to keep them on the right track. For enterprises dealing in financial transactions, it is necessary to keep a secure storehouse for all the credit and debit card information and other practices. Hence, big data analyzes internal threats as it allows enterprises to map the entire landscape of data across various horizons. Also, it provides valuable insights regarding market and consumer taste and preferences that ultimately results to be beneficial for enterprises across the globe.